Happy New Year guys. Hope that 2017 is better than 2016 was. Back at ya! 2016 was better than 2015 for me but still could have been better. 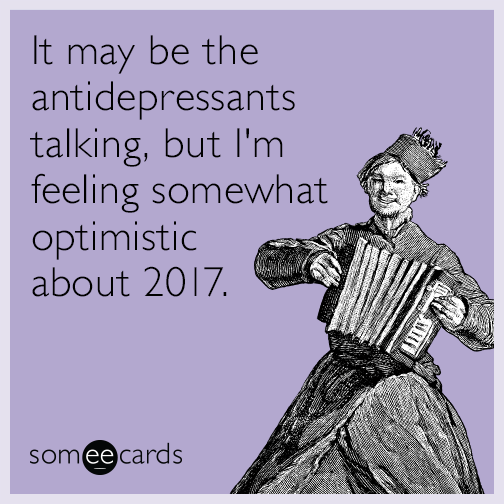 Looking forward to 2017. I can't imagine that could be even possible, 2016 was an absolutely awesome year. Of course 2017 is gonna be better. It means I'm still alive. How I party on New Year's Eve. Adding shelves in my room. I have a box of shelves kit that I broke one shelf. I used the shelves to make shelves so I added two in my food cabinet and two next to it. They're brown shelves. Working out pretty good. The one with the cans on it is installed backwards. I am surprised you are still alive eating that processed stuff so much. Try fresh meats and vegetables and friuts and not a lot of red meat. What you see are not what I eat all the time. It's an accumulation. I'm 66 and I still can get it up. and there it is. Didn't even notice the shelf was backward. As you can see, not all processed meat. I love veggies. Celebrating New Year Day with a bang. 30 rounds of 10mm and 30 rounds of 40sw with my G29 at the range. It was packed today and it was a warm sunny day to boot.